With Intermediate Badge in a Bag® Triple from MakingFriends®.com your 6 girls will have activities to earn three Junior badges for just $3.00 per girl, per badge. That’s right, you’ll get 90 projects for less than $.60 per girl per project. With Intermediate Badge in a Bag® Six Pack from MakingFriends®.com your 6 girls will have activities to earn six Junior badges for just $3.00 per girl, per badge. You’ll get 180 projects for just $.60 per girl per project. 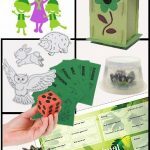 It’s all fun and games while you learn about wild animals and their habitats! 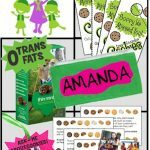 Hands on projects make the Animal Habitat Badge in a Bag® from MakingFriends®.com a fun way for your girls to earn the Junior Animal Habitats badge. This is a great badge in a bag to combine with a trip to a local zoo or nature center. If your troop can’t get out, we’ve made this an easy badge to earn during your meetings. Either way, you can print our word search fact pages and your girls will learn about some fun animals and their habitats. See our blog post for more information about our Animal Habitat Badge in a Bag®. 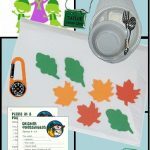 Get ready for your camping trip with the Camping Badge in a Bag® from MakingFriends®.com which includes activities that will get your troop excited for a great time! Whether you are getting ready for your first camping trip or already given it a try, our Camping Badge in a Bag® has projects every troop can use. Make sure to print our free camping recipes for some delicious outdoor cooking ideas. Add stuffing for comfort or use just the padded material provided for an economic waterproof seat. Learn all about selling more cookies! 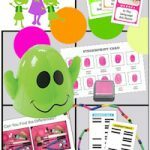 The Customer Insights Badge in a Bag® from MakingFriends®.com includes fun activities to do while earning the Junior Customer Insights badge. Our kit includes a game that teaches you facts about cookies so you can answer your customers questions and sell more cookies. If possible, take a trip with your girls to a store to see the retail displays. Our free printables make it easy to learn about retail whether or not you can get out on a trip. The Detective Badge in a Bag® from MakingFriends®.com combines an educational experience with hands-on fun. You’ll have an unforgettable meeting ending with a life-sized game of clue where the girls are the game pieces while they earn the Junior Detective Badge! Be prepared for tons of fun. Your troop will want to play our game again and again. The girls are the game pieces and travel around the room with inflatables. Did the biology teacher steal spinach soup and eat it in the Janitor’s closet? Or did the librarian steal the meatloaf and eat it in the office? There is also plenty of opportunity to learn. See our blog for more information. 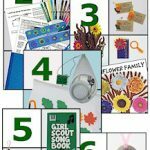 With the Flower Badge in a Bag® from MakingFriends®.com your six girls can complete these fun activities which they can do any time of the year to earn the Junior Flowers badge. Girls love flowers and your Junior girls will love our Flower Badge in a Bag®. 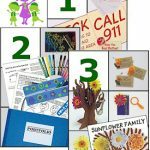 Even if you are doing the flower badge out of season, you will still be able to go on the required flower hunt when you use our flower fact sheets because your girls will be going on a flower word hunt. 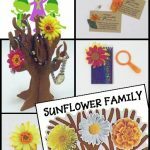 The Jewelry Badge in a Bag® from MakingFriends®.com is designed to inspire your girls to be creative. 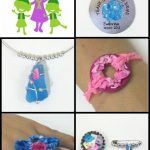 They’ll have plenty of supplies to explore techniques and try new things to make their own creative pieces while they earn the Junior Jeweler badge. We’ve made suggestions for completing each requirement but let your girls mix and match the ideas and the supplies to come up with their own creations. With our Jewelry Badge in a Bag® you won’t need any special tools or supplies and your girls will still be able to design trendy jewelry they will really want to wear. 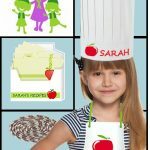 Five fun projects are included in the Simple Meals Badge in a Bag® from MakingFriends®.com to “spice up” their Junior Simple Meals badge-earning experience. Your girls will look and feel like chefs when they cook in their apron and hats. Print our free recipe cards and add your own to the recipe card holder.